MyCompany Toolbox™ contains three powerful web-based Tools with several High Value Systems and Applications in each Tool. The Tools are introduced on this page and they are the Contact Management Tool (CMT), the Teamwork Management Tool (TMT) and the Human Resources Management Tool (HRT). Your critical contact and sales information. Easy accessibility for you or your entire organization with advanced search features, reporting, vCard contact download and import to Outlook™, ACT!™, and others. Try it FREE today! The opportunities portion of the system is an online system that salesmen use to organize their sales prospects and to manage the sales department. TMT is a web-based application that allows you to create multiple program/project teams to share and store documents, submit bulletins, assign tasks and access the entire team directory. It is Free to give it a try. This collection of tools provides communication and management utilities to keep your program team prioritized and updated. 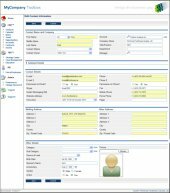 This system provides Tools necessary for managing, communicating, and providing support and maintenance programs. This system is used by some of the largest companies in the world. The EMS is used to manage your company's internal and external training. The system may be used by your HR department to book training for your employees. The System may also be used to manage the training you provide for your customers and give your students online evaluation forms. The HRT suite of Tools is used to keep track of all the employees, contractors, and personnel in the company. 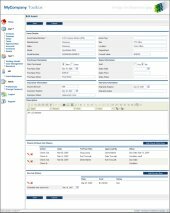 The Tool is designed to keep a database for HR to record contact information, system permissions, employee information, employment history, employee reviews, and HR notes files.